Samsung has launched about five new phones in Indian market in the new-year. Samsung Galaxy Mini S5830 aka Samsung Ace S5830 and Samsung Galaxy Pop S5570 are two Android touch phones among them. All the features and specifications of the new phones indicate that Samsung is all set to give a tough challenge to other mobile phone manufacturers. Samsung Galaxy Mini S5830 costs about 13,200 rupees and Galaxy Pop has a price around 8,819 rupees. Samsung Galaxy Mini S5830 belongs to the popular Galaxy series. It runs on an Android 2.2 Froyo operating system and has an 800 MHz Qualcomm processor. The 3.5 inches TFT touch screen has a screen resolution of 480 x 320 pixels and has Samsung’s special Touch Wiz 3.0 user interface. Ace has high speed HSDPA 3G connectivity in the frequency 900/2100 MHz with a speed of 7.2 Mbps. The 2G network operates in the frequency range of 850/900/1800/1900 MHz. The connectivity facilities include GPRS, EDGE Blue tooth v2.1 with A2DP and Wi-Fi 802.11 b/g/n. there is a five mega pixel camera with LED flash and QVGA video recording facility present in the phone. The phone has a large 150 MB internal memory and it also has a preinstalled 2GB memory card in the card slot. The phone weighs about 113 Gms and the dimensions are 112.4 x 59.9 x 11.5 mm. 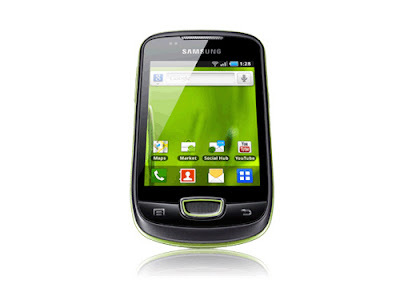 Samsung Galaxy Pop S5570 is a middle range touch screen phone with almost all the typical features of a smart phone today. The Display is 3.14 inches TFT touch screen with a display resolution of 240×320 pixels. 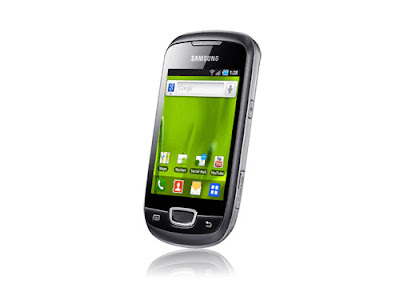 It has an Android 2.2 operating system and android browser for internet access. It supports both 2G and 3G networks. The 3 mega pixel camera has digital X3 zoom. There are many shot modes like smile, panorama, single, continuous etc. The phone has EDGE, Blue tooth and Wi-Fi facilities. The internal memory of the phone is about 165 MB and it can support up to 32 GB of external memory. Samsung Pop provides a talk time of 570 minutes in 2G and up to 380 minutes in 3G networks. The stand by time is up to 570 hours in 2G and up to 440 hours in 3G. The phone allows SMS, MMS, Instant messaging and social networking services. There is also a WAP browser present in the phone. The weight of the phone is 106.6 Gms. The dimensions are 60.6*110.4*12.1 mm. The additional features include scheduler, calculator, organizer, alarm, calendar etc. It is to be mentioned here that Samsung has displayed Samsung Wave 578, Samsung Galaxy S2 and Samsung Galaxy Tab 2 at WMC.